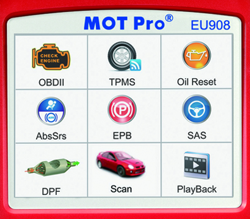 MOTPro EU908 is an innovative diagnostic tester for professional users. You save 24% (137,95 €). Your satisfaction is very important to us, therefore you can make a return without providing a reason within days. 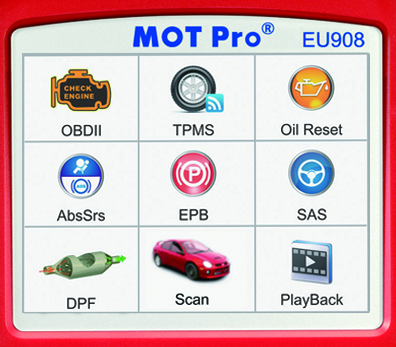 MOTPro EU908 is an innovative diagnostic tester for professional users. This functional diagnostic tester helps with diagnostics and maintenance of most commonly serviced electronic systems in over 50 car models. Supported modules: Engine, Automatic Transmission, ABS, Airbags, Air conditioning, Immobilizer and Electronic Parking Brake EPB. Additionally MOTPro EU908 supports Oil/Service Reset Service Function.